Many people who train to get fit take ephedrine pills. Doing this can be dangerous. It doesn’t matter how much you want to lose weight or how fit you want to get, sometimes hard work is the solution. The more lean you are getting, the more you will have cravings and hunger. That is just science. The more difficult your workout is, the more you may want to eat as well. Many bodybuilders and others who are trying to get fit will take ephedrine. If you have gone to the gym you may have heard of an ephedrine called the magic bullet for weight loss. Many people have said that this medication will take away your appetite. At the same time, it will burn off fat and increase metabolism as well. This means faster weight loss and an easier time sticking to a diet. Some people think because of the benefits, this is safe. However, there is much more to it than that. There are many risks of taking ephedrine, possibly even a stroke or heart attack. With this being said, it is a must to find out more about ephedrine. Is ephedrine even effective? How severe can the side effects get? Are there other health risks involved in taking it? What else needs to be known before taking it? These are just some questions people should and have been asking about ephedrine pills. Once you finish reading this article, you will know more about this medication and have a better idea as to the safety and efficiency of it. Ephedrine pills are stimulants that raise the metabolic rate of the user’s body. This increases fat loss. Basically, ephedrine increases the energy expended by your body, most of which is from your body fat. Ephedrine is extracted from a type of shrubs that are grown in China. These shrubs are Ephedra sinica. Sometimes they are also called ephedra. After the ephedrine is extracted, it is refined. The purpose of ephedrine pills is to improve breathing. This is done when the medication relaxes the muscles surrounding the airway. Traditional Chinese medicine has used ephedra for many years to treat a variety of conditions including the flu, coughing, and colds. In the western parts of the world, many asthma medications have ephedrine in them. Ephedrine binds cell receptors together. These cell receptors are the ones that respond to the chemicals known as catecholamines. These include dopamine, noradrenaline, and adrenaline. When the molecules connect to the cells, they will trigger fight-or-flight responses. The physical sensations that come from this may include increased heart rate, decreased hunger, and accelerated glycogen and fat burning. Ephedrine pills also help with reducing the storage of fat that would naturally have more resistance to moving than the others. This is what is commonly known as stubborn fat. This medication does this by raising the cellular receptor activity. The beta-receptors will trigger increased energy flow to help get rid of the storage of fat cells. While all of this might sound a bit complicated, basically, the ephedrine increases metabolism and energy flow to get rid of fat storage. There are two main reasons why people take ephedrine pills. These reasons are to increase metabolism so they can burn off fat and to curb their appetite. Some people have stated that ephedrine helps to increase their endurance and strength as well. They believe it can increase their muscle while trying to lose weight. However, these claims aren’t established or studied fully. It makes sense that when you are working out and losing weight, you will see more muscle. It isn’t necessarily the ephedrine causing the muscle to show up. Just keep this in mind while you learn more about ephedrine. Research has shown that this medication does help with the fat burning process. It also works together with caffeine which can help with weight loss too. When these drugs are combined, weight is lost faster than if they were taken separately. The question remains as to whether that is safe for most people or not. Research has also shown that combining these two drugs when bodybuilding has the possibility of increasing metabolic rates by around five percent. This is equivalent to losing another one-third of a pound each week for most people. While that may not seem like a lot, the energy expended would take around half an hour of fast paced walking each day. Ephedrine has also shown to become more efficient the longer someone takes it. Caffeine is the opposite, as it won’t work as well, the longer you take it. Ephedrine works well because the body is catecholamine sensitive. This is helpful because when you remain calorie deficient for longer periods of time, your body is going to expend less energy. This happens to be one reason some people just stop losing as much weight after they have been on a diet for a certain amount of time. Ephedrine compensates for the loss of energy expenditure through increasing the metabolism of the user. In addition, the ephedrine helps with appetite suppression so the user won’t feel as hungry. Many first time users will feel full after taking in only a couple hundred calories each day. This isn’t recommended for anyone. While this may diminish with time, the majority of users will still report they have less of an appetite than when they weren’t taking ephedrine. These are just some of the most common side effects with ephedrine use. While these might seem scary, it should be known that this happens with practically all stimulants, even caffeine. For most ephedrine users, these side effects will subside in a couple of weeks maximum. So, is ephedrine safe? Most professionals will label this drug as dangerous. In fact, some people have classified it in with harsh drugs such as 2,4-Dinitrophenol and clenbuterol. As just mentioned, many professionals classify ephedrine as a dangerous drug. There are various reasons for this. The first of those being that using this drug does have some risks. Just about every medication or drug you take does come with risks. There are some people who don’t do well with ephedrine. Some people have serious negative side effects. In fact, the FDA has reported that during 2004 more than 18,000 complaints were submitted from people who used ephedrine. With that being said, many of those instances were from people who had a pre-existing health condition. The negative side effects were also reported by those who used ephedrine with other pharmaceutical or recreational drugs such as ecstasy, cold medicine, or alcohol. These medications should never be used together. There is also a stigma associated with ephedrine use that isn’t noted with other stimulants. There have been some deaths from people who have taken this drug. Since a 2004 incident, the FDA has banned use of ephedrine in supplements. After this incident, there have been more fears and questions arising regarding the safety of ephedrine. There is some irony to this since many people have had fatal reactions after overdosing on caffeine as well. However, millions of people abuse caffeine every single day without thinking about it. These same people may think that ephedrine has too many risks to consume. This is because it isn’t used as often as caffeine. In reality, there are dangers to both caffeine and ephedrine. If ephedrine is taken in a responsible manner, it can be considered safe. However, those with a pre-existing health condition should not take it. It also should not be taken in higher doses or mixed with other drugs or alcohol. Ephedrine shouldn’t be taken with larger amounts of nicotine either. Mixing these things can be dangerous, even fatal. Lastly, it should be noted that most studies on this drug lasted a maximum of a few months. With that being said, there isn’t enough evidence to say what would happen when taking it for a longer period. The most commonly known protocol for ephedrine dosing when it comes to weight loss is three servings at twenty to twenty-five mg each day. This should be taken in the morning, around noon, and in the early afternoon hours. Most EC stacks will combine the servings along with two hundred mg of caffeine. This is quite high and isn’t recommended, especially not long-term. There have been people who used aspiring in their ECA stacks. The purpose of this is to lose weight faster for those who are obese. There are many safety issues with taking larger doses of aspirin in the long-term. It is recommended not to use aspirin in your stack. Many of the stimulants will not be as efficient when you take them for longer periods of time. This is because your body will become more tolerant to them. This means you need more and more of them if you are going to get the same effect. For instance, clenbuterol, generally is less efficient around four to six weeks of continuing use. This is the main reason why stimulants should be on a cycle. They will be effective for longer, especially when it comes to weight loss goals. The cycles allow you to reset your body so you can be more responsive to the stimulants. However, ephedrine works a bit different. This doesn’t need to be cycled as it become more effective the longer you are taking it. However, there aren’t enough studies done to show the effects of long-term use of ephedrine. It is best to be safe when taking ephedrine and take at least one week off every month to month and a half. If you are using caffeine along with ephedrine, you should cycle off that too. There are many health concerns when it comes to taking ephedrine. This is why supplement companies are not allowed to add it in as an ingredient. Due to this fact, in the United States, the only products that can contain ephedrine are cold, allergy, and asthma medications such as Primatene and Bronkaid. In addition, there are limits on the amount of ephedrine that someone can purchase each time. This is because methamphetamine can be manufactured from larger amounts of this medication. The majority of sports organizations ban ephedrine use by their athletes as well. This includes the PGA, International Olympic Committee and World Anti-Doping Agency, NFL, MLB, and NCAA. The reason for this is because it could enhance their performance while they are playing the sport. Synephrine is a type of natural compound that is extracted from a fruit. The fruit is quite bitter. The one thing to note is that synephrine is similar chemically to ephedrine, so there are similar effects. Research shows that one dose of fifty milligrams of synephrine may increase metabolism by about sixty-five calories in seventy-five minutes. When it is mixed with hesperidin and naringin, two natural molecules, it rises to around one hundred and eighty calories. This might not seem like a lot for many people. However, the equivalent would be around twenty minutes of jogging. This would be around one thousand and three hundred calories burned each week. Synephrine has been shown to help people lose what is called stubborn fat. This is because it inhibits cellular mechanisms that stop the body from burning fat. In addition, synephrine has been shown to increase thermic effects from food which raises the energy expenditure after digesting it. Synephrine has also been shown to help reduce appetite too. Synephrine has been shown to be safer than ephedrine. Many studies show synephrine won’t increase heart rate or blood pressure like ephedrine would. This is why synephrine is often considered to be the safest of weight loss supplements on the market. If you would like to lose weight faster without taking something that has potentially dangerous side effects, synephrine would be a better option. Many fat burning supplements have synephrine in them. Another question that often arises surrounding ephedrine use is whether someone can become addicted to it or not. The answer, for the most part, is yes. There have been people who have become addicted to ephedrine. There are even some people who have overdosed and died from using it. Since this is a drug that helps people lose weight, many people are under the impression that if they take more of it, they can lose weight even faster. The problem is this can lead to some severe side effects or even death. If you have become addicted to ephedrine, you can get into an addiction treatment program. If you need treatment for an ephedrine addiction, you can call into a treatment program today. The first step will be to answer questions and talk to them about your addiction. You can let them know how long you have been taking ephedrine, how you became addicted to it, and the severity of your addiction. Once you get enrolled into a program, you can start with the detox program. This will help you get the ephedrine out of your system. The facility will make you a plan for recovery. During the detox process, you may go through ephedrine withdrawal. The professionals at the detox center will make you comfortable through this process. Once you are done detoxing, you can start the rehab program. 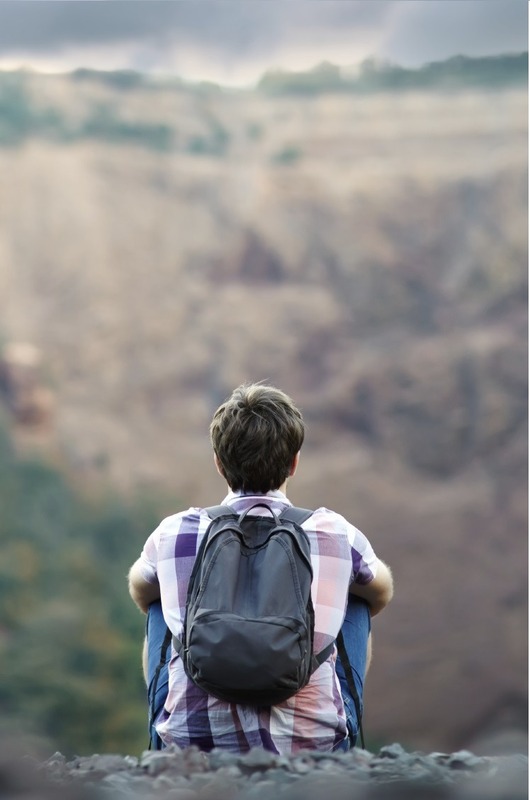 For most people who have an ephedrine addiction, they need to attend an intensive outpatient or inpatient program. These programs will give you the guidance and supervision you need to help you overcome the ephedrine addiction. While in the rehab program, you will learn more about natural ways to help you lose weight. You will learn how to accept yourself and how to live a healthier lifestyle as well. This drug is known to suppress appetite and increase metabolism. It could also improve performance during exercise. However, this isn’t fully established. In addition, this drug is more effective with time, unlike other stimulants. If this is used in a responsible manner, it can be safe and tolerated by most users. 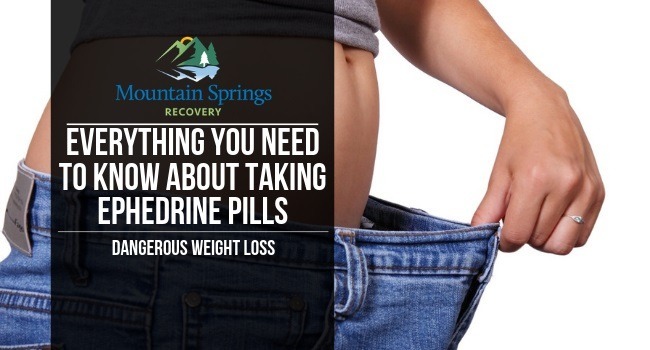 While ephedrine is a type of stimulant that has been known to help people lose weight, there are dangers. Some of the side effects known include increased blood pressure and heart rate. Jitters are a common side effect known as well. If higher doses of ephedrine are taken and combined with alcohol or other drugs or if someone has a pre-existing health condition, more serious consequences can occur. In some instances, death could occur as well. If you would like to lose weight faster, ephedrine might help. However, there are safer supplements to take such as synephrine. Synephrine is safer than ephedrine. It helps to burn off the more stubborn fat as well. However, if you have already become addicted to ephedrine, there are treatment programs to help you overcome it. Now that you know more about taking ephedrine pills, you can make better decisions regarding the use of this drug for you. If you have pre-existing health conditions or you are taking other medications, ephedrine may not be the safest for you to take. This is something you may want to talk to your doctor about. You should never take higher doses of ephedrine or abuse it in any way. Only the recommended doses should be taken if it is going to be used. Synephrine may be the better option for you to take. Do you have an addiction to ephedrine? If so, and you want to get help to stop taking it, remember there are addiction treatment programs to help you out. You don’t have to lose weight in unsafe ways. Ephedrine has led to death for many people who abused it. Don’t let this happen to you. You can live a healthy lifestyle from here on out.